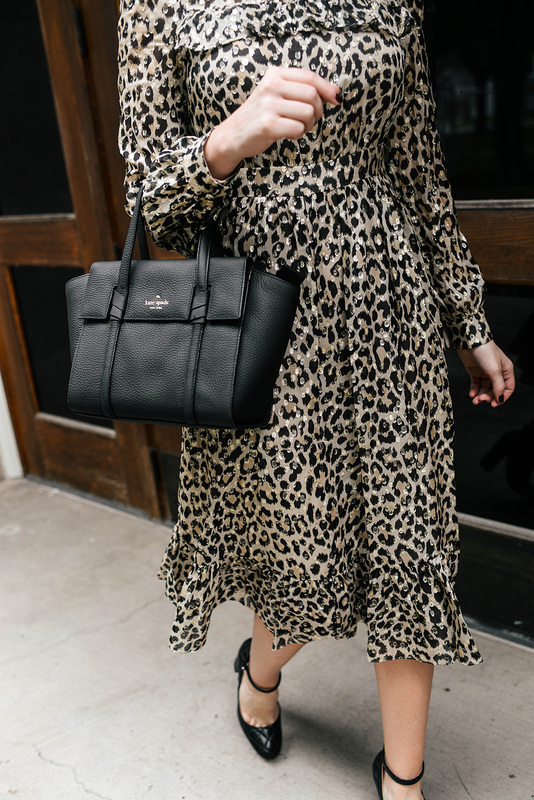 Whether you’re dressing up for a fun night out or you just want to spice up your casual weekend wear, kate spade new york’s new leopard collection is the best way to tap into your wild side this season! 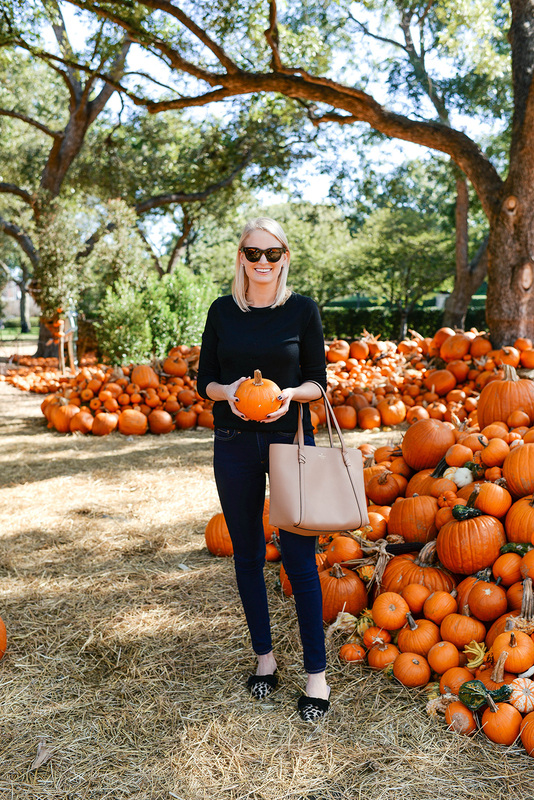 Animal prints are a huge trend for fall, so don’t wait to snag pieces you can wear all season long. One item I know I’ll be reaching for on the reg is this pair of mules. 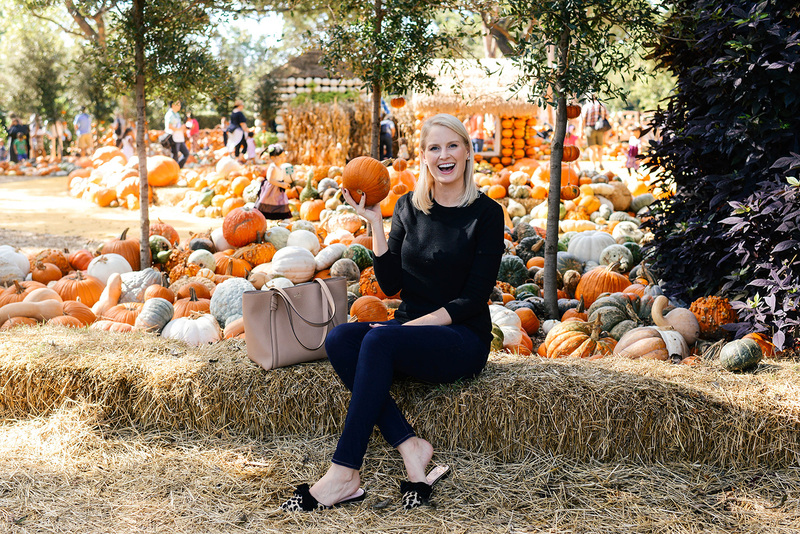 They’re such an easy style to throw on and go, and are perfect for pairing with my favorite jeans and sweaters throughout the week and weekend! 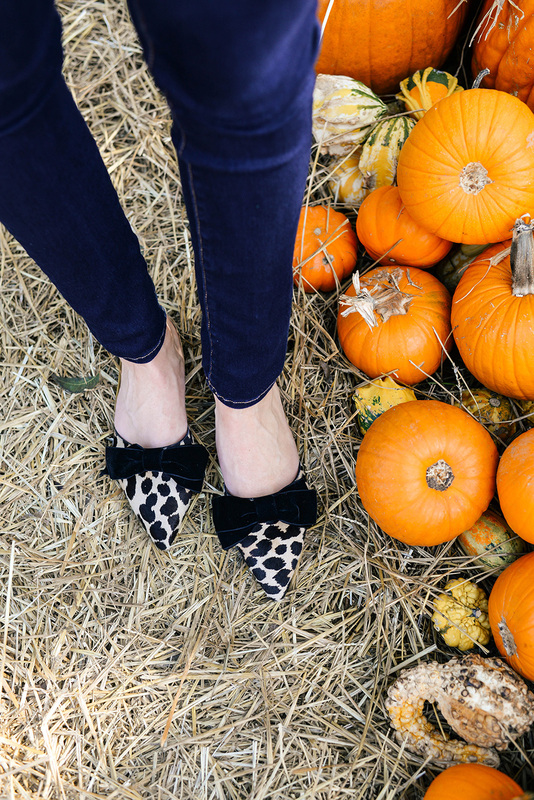 The bow accent is a signature kate spade new york look, but the velvet detail and leopard calf-hair make them extra special. 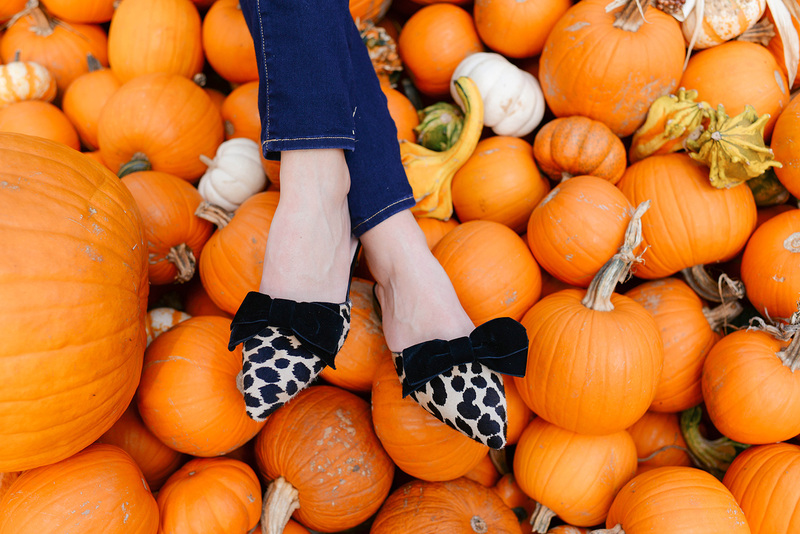 Shop more must-have leopard pieces from kate spade new york below! If you’re looking for a fun cocktail dress for holiday parties this year, check out this sequined number! This leopard scarf would look great with just about every neutral in your wardrobe. Such a great staple! If you love my dress, you should definitely check out the mini version and this top in the same fabric! These cigarette pants would be a fab addition to your office attire! Super cute. On the hunt for a statement heel? This pair should definitely be on your list. Adore that leopard dress, it looks amazing on you. The leopard dress and leopard flats are so cute!